Looking for testimonials before taking one of our services? Want to leave your feedback or share suggestions? If so you've come to the right place. Here at St-Petersburg-Essentialguide.com we don't only provide FREE information, tips and updates about the most beautiful city of Russia, but also we offer several services, such as airport transfers, private tours, travel consultation, visa support, and much more. Become one of our Testimonials! We do this to help independent travelers like you to better organize your trip, stay safe, and of course to maintain the running cost of our website and other expenses! After all this website is our small travel business. And believe it or not we work hard everyday to provide you with a good service, whether you decide to book with us or not. But to earn your trust, enhance our services and stay motivated in this ongoing internet challenge we need to hear from you as well, at least from time to time! That's why we've created this page. On this page you can read what people say about us. You can see their comments or suggestions and put your mind to rest. But also, you may, and we hope you will, get involved and have your say. Send me a direct email to davide@st-petersburg-essentialguide.com - After receiving your email I'll read what you have to say, take a screenshot and publish it on this page as shown below. Submit a feedback by filling up the form below. 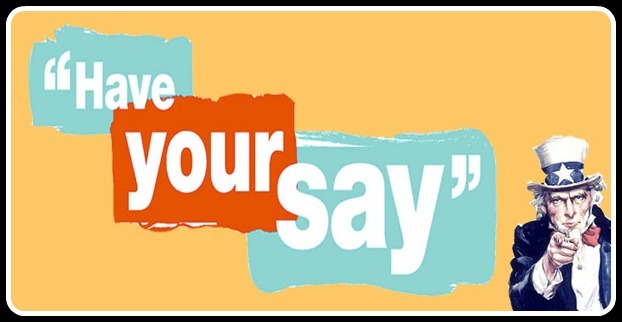 After receiving your submission we'll review what you said and publish on the site. An email will be sent to you after your feedback has been published on the site. Leave a live comment on Facebook through our website. In order to do that you need to be logged into your Facebook account. This is really your opportunity to pay it forward, say thank you, add something of value and/or share your experience with others. But also this is the right place to clear up your mind if you still have some doubts about us. Thank you in advance for taking the time to read our testimonials and/or leave yours! Below you can find a list of several messages (emails or comments) from travelers who have used our services and visited our website in the past. We asked them to leave a feedback and some have kindly replied. I found this website to be wonderfully informative, and it helped enormously with our travel plans four our 10,000 km journey to St Petersburg from New Zealand. We found Davide and Anastasia to be two people who clearly adore their beautiful city and because of this they are eager to provide services that will enable travellers to rave about the enchanting St Petersburg. Their attention to detail in both their website and the services they provide have prompted me to write this testimonial. It was all very smooth and a great taxi ride - thank you! The driver was very pleasant and helpful, arrived just after you rang, and pointed out some sites along the way to our hotel which helped us orient ourselves. The driving was great - very safe compared to other city taxi rides that we took. And the car was in great condition - very clean and well kept. We were very, very happy with your service. We had a wonderful time in SPB thanks to St Petersburg essential guide. We enjoyed the Hermitage, the Russian Museum, the Opera at the Mariinski, and the restaurant you recommended. And of course many other city highlights. Besides, we were lucky with the weather. No rain! Please, send us the same driver next time; he is a friendly man, a sound driver and - above all - he has good music in his car (Elo and Pink Floyd).With pleasure we will tell our friends to use your services. Thank you for your help in the planning of our trip to your beautiful city! Regarding your services, I must say, nothing to complain. Your driver was extremely punctual picking me up at the airport, the two days in town, and at last for my return to the airport. We only had to ask him on the second day, not to drive too fast, which he followed immediately. The car was very clean, your driver was very helpful in helping me carrying my heavy bag to each appointment, he had nice easy music in the car and made the transfer from one appointment to the other easy and relaxing. Also, he had no problems to find all addresses. So congratulations for your team. I wish you all the best for your future, and surely I will use your services again, when I come back to Saint Petersburg whether it will be for business or pleasure. Thanks for the perfect service, on the airport everything went as planned, we got to the hotel without any troubles but the traffic here is a nightmare I don't envy you. The Aragvi restaurant was absolutely excellent - thanks for taking care of the booking. Thank you for the stress free arrival in St Petersburg. We had a great train trip and a very smooth transition at the train station to our hotel thanks to your transfer service. I just got back to NY and I wanted to send you a short note to Thank you for your service. Although your drivers Dmitry and Alexey do not speak much English at all, we did enjoy to be with them. Both where very nice to us and especially Dmitry that drove us all on the 25th. I want to commend him for a safe and responsible driving and always with smile. I will be sure to recommend your service to future friends that will travel to St. Petersburg. Thanks for the great pick-up from the airport. Everything went well as planned. All information on this website were very helpful for our planning. The airport transfer booked by you was comfortable and reasonably priced and we enjoyed also your recommended restaurants. Thank you!!! We will recommend you to all our friends who want to travel to the wonderful city of St. Petersburg. We are writing this review because I am so impressed with Davide and Anastasia's website. Their travel site is streets ahead of any other, including the likes of Tripadvisor, Expedia, and Booking.com. Once I discovered St Petersburg-essentialguide.com I did not bother with any other, as all information I needed was right there and more. Plus the services from and to the airport was prompt and punctual with a very polite and friendly driver. There is however only one small compliant - we were told by Natalia, the tour guide, that the fountains at Peterhof Palace would be operating only to find they weren't - this was disappointing but half expected as it was the off season. Apart from that, we had a great trip and would love to come back in the summer. Just one more thing to anyone reading this review, the Russian Vodka Room and steakhouse restaurant are a must. Well done Davide and Anastasia - and thank you very much for your help! Thank you for your service on Saturday morning, we were impressed with the timeliness of the service and the friendly attitude of your driver. Thank you so much for your great taxi service. Everything worked out exactly as we agreed on: the driver took us from the airport right to the cruise ship "Russ" on August 30, 2014. Your driver on Friday was very good and I managed to get to the Mariinsky by 18.50! Thank you for that. Tomorrow I will be waiting in the hotel Foyer at 15.15 to depart for the airport at the latest by 15.30. I think the service you have given me up to this point was great. Your internet side.The friendly advice, information in your emails. It's good help to people like me coming to St. Petersburg for the first time. The collection of myself at the airport went well. The driver was very helpful as the Klever hotel was not easy to find. They are refurbishing the complete house. So no signs at all outside. Your service for me was a very good start to my holiday. Saint Petersburg is a Fantastic place. I would say one of the best Cities I've been to. I'll be back and I will most definitely use your service again. Your Airport transfer and accommodation worked very well and now we are back to Zurich. We had a great time in St. Petersburg and would like to thank you again for your help. Our trip to Tsarskoe Selo was absolutely wonderful! The minibus was sparkling, clean, and comfortable and Ilia your tour guide was a star. The information he shared with us about Russian history, economy, society, etc. was so fascinating, we didn't even notice the length of the trip. Of course, everything we saw at Tsarskoe selo was wonderful. All of us really enjoyed the day. I am so grateful I found your website! There were many things we didn't have time to see in St. Petersburg, so we are already planning to visit again and we will definitely be in touch with you for tour arrangements. And of course, we will recommend you to any friends who may be visiting in the future. Many thanks to both of you for your help. Best wishes to you and your staff for continued success! Planning a visit to St Petersburg is potentially very involved especially with visas, what to see (especially on limited time) and of course how best to see it. You guys, Davide and Anastasia, was just so helpful and ready and willing to advise on all matters relating to our visit. You have been totally upfront and honest and due to you we had a great vacation. Your tour guide and site information was such good value. Good morning from our home in Bellingham, Washington. John & I really enjoyed your city tour with Sofia. She did an excellent job showing us your beautiful city and eating our way thru the afternoon! We are very satisfied! Thank you for working with us and arranging this tour. We did not give much notice yet but you made it happen, and even gave us a great recommendation for our first dinner at the Russian Vodka Restaurant. My husband was thrilled to find a meal he has not eaten for many years on the menu. We could not have been happier! We toured the vodka museum afterwards which was most interesting. Will attempt to write a trip advisor response on your services in the next few days as we will highly recommend your company for your prompt and through assistance. We have completed our visit to St Petersburg, it was short but sweet. It will not be possible without your help. I thank you for your excellent support and your understanding - plus trust, where I can not provide you with a deposit. We loved our trip to St Pete, I was blown away by the beauty of the city, the food and the nice people. I want to say a big thank you for organizing our transfers to and from the airport, especially that your driver waited so long for us as we were delayed. I will definitely recommend your services and all the best! In preparation for my first trip to St. Petersburg, I found St Petersburg Essential guide website. I used their taxi service to get to my hotel. It was very convenient and easy, and nice to know that you have phone numbers you can call in case of problems (there weren't any). Later I used the service for an ate night ride back to hotel from the Mariinksy Theatre with precise locations on how to find the driver and personal communication when pickup location was changed. In short it was a very friendly and professional service so thank you very much for your help. St Petersburg is such a beautiful city, great and friendly that on my next visit I brought over my family. We did Airbnb and Davide answered our questions about the pros and cons of various locations. We of course again used their taxi service (we have a favorite driver now!). My wife and son scheduled a tour of the city with St Petersburg Essential Guide that was a great introduction to the city. Later in the week, we were stuck in bad traffic getting to the Mariinsky and our favorite driver Vyacheslav, performed heroics getting there remaining very cool and funny all the time (We made it on time). We even had dinner with Davide and Anastasia and it was nice to spend some time with them. I will definitely book their services again next time I plan to comeback. A quick note to say that everything worked out well with your airport transfer service. Thank you very much. We enjoyed our stay in St Petersburg - such a great city! Thank you for your excellent service, everything worked out perfectly. We had a great time in St. Petersburg and would highly recommend your services. Thank you again for organizing the airport transfers (on time, comfortable limousine, very friendly drivers). We enjoyed our stay very much. The weather was very friendly apart from twice rain showers . One of the highlights of our trip was Peterhof (we took the speed boat) and afterwards the restaurant you recommended "Russian Vodka Room". Thank you for all your help! We will be back soon. I would like to take a moment to thank you again for your excellent service in arranging transportation needs while in St. Petersburg, Russia. I'd would also like to congratulate you on your excellent, comprehensive website on the city! I would highly recommend either a first time or returning visitor stroll through your site for its valuable and accurate information, and to utilize your services when visiting the city. Thank you again, I look forward to chatting with you again on my next trip to Russia. It is clear you are serious about caring and providing the best for your clients. Thanks to you both. You made our trip really special and we wish you every success with your business. Davide I would like to thank you both for giving us a trouble free tour which has given us lifetime memories. While appreciating that you wanted to give us a full flavor of Russian food in two different restaurants which were very nice the only problem being that the Georgian restaurant took too long to prepare a meal. I would suggest that you look into menus and the time for preparation as most tourist like us have such a short time for lunch. I cannot praise your tour company enough. Thank you again your tour was the highlight of our cruise. 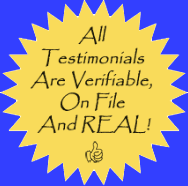 Please note that all Testimonials are Verifiable, on File and REAL!